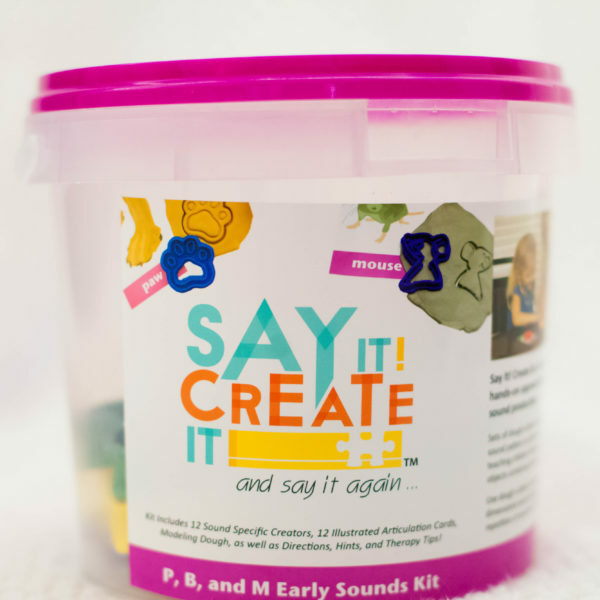 Speech therapy with little ones requires a little extra creativity! Toddlers learn best when they are engaged and the learning is meaningful. This means ditching the flashcards! 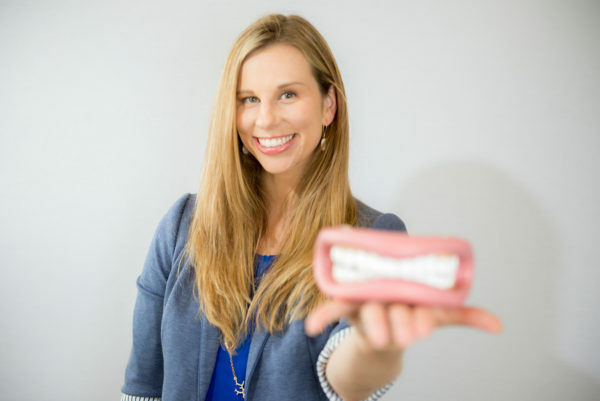 Here are some of my favorite ways to elicit speech sounds during speech evaluations and speech therapy. 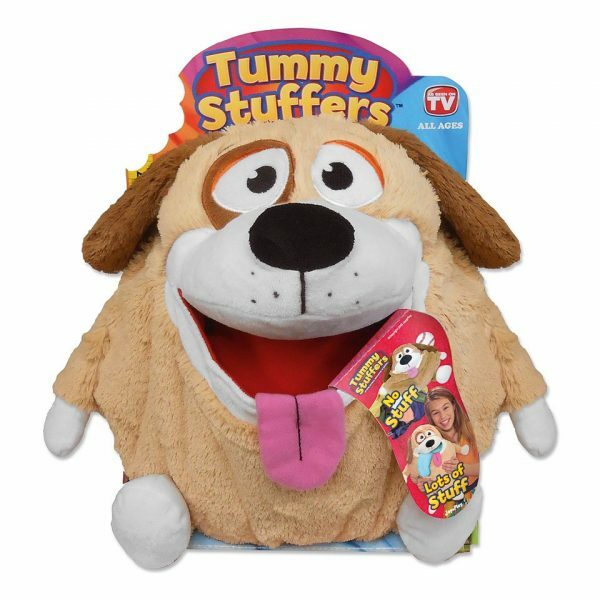 Feed the Dog: My kiddos love to feed this Tummy Stuffer™ puppy during speech therapy! 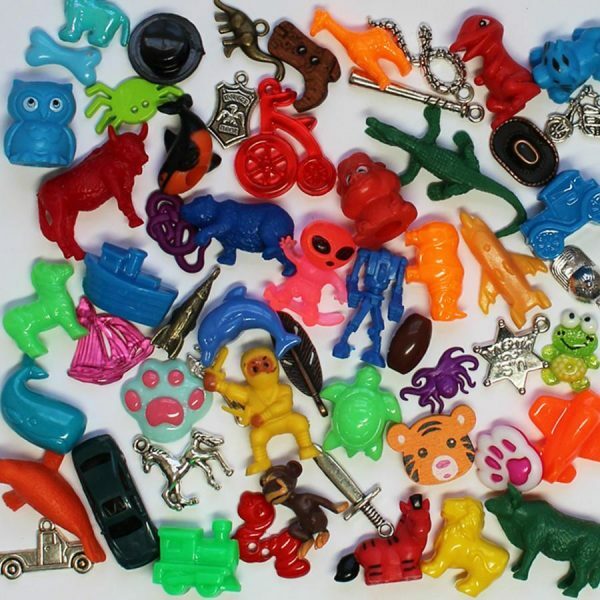 I choose items that have the child’s target sounds and/or word shapes (I use large Dinky Doodads). The dog gives the child kisses or jumps up and down every time he great a “treat.” This works great for toddler speech evaluations! I use the objects to obtain a phonetic inventory and determine what syllable shapes they are using. It’s a fun, low pressure way to obtain information about a child’s sound system. Miniature Family I love my Fisher Price Little People. They are fun and are a great way to elicit simple syllable shapes such as “Mama,” “Dada” and “Baby” during speech therapy. Once a kiddo masters these CVCV shapes, we can add complexity by adding actions, “Eat mama,” “Go Daddy,” and “Night baby.” I add items such as a table and food items to incorporate more speech and language goals. I also carry a small spray bottle to give the family members a “bath”. It’s fun for my kids and creates opportunities to practice words such as “wet” and body parts. 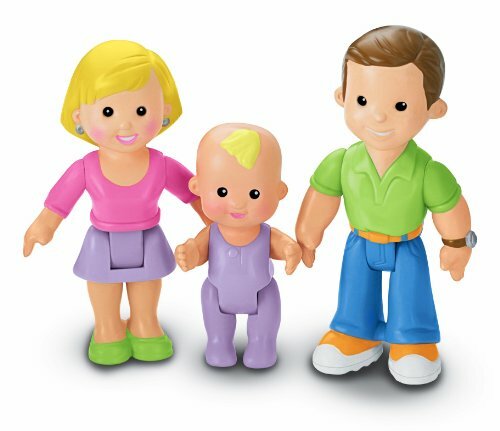 Wind up toys: My absolute favorite! 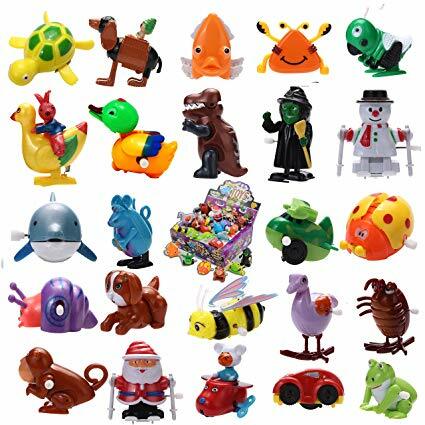 I love this box of wind- up toys from Amazon. Since they are so reinforcing, they are great for targeting making a choices or verbalizing words such as, “Go!” I keep mine in a clear container during speech therapy evaluations. Toddlers usually require help opening the box, which gives me valuable insight on how they are requesting help or assistance.